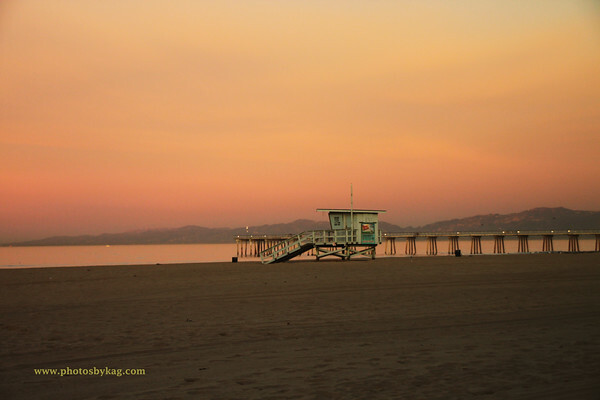 Gorgeous sunset and sunrise beach and ocean photographs from Manhattan Beach, Palos Verdes, Torrance Beach (yes, Torrance has a beach), Redondo Beach, Hermosa Beach, El Segundo and Playa Del Rey. 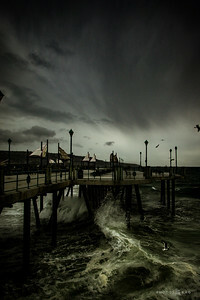 Waves pound the Redondo Beach Pier during a winter storm. 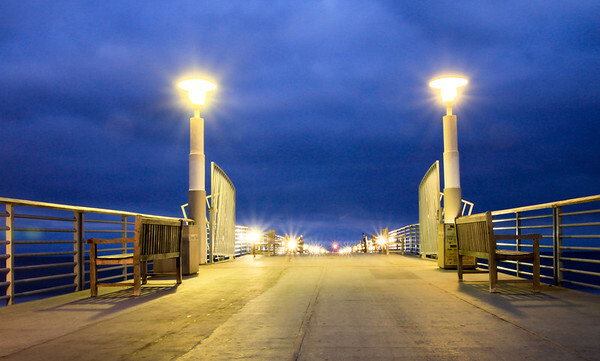 I could feel the pier shake when the waves hit the pilings. 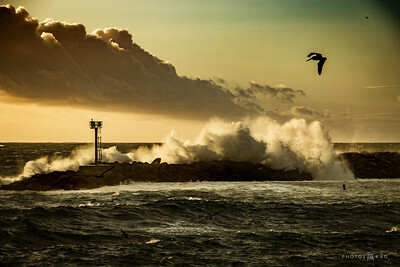 Ocean waves pound the Redondo Beach Breakwater in Redondo Beach, CA. This was an incredible stormy day. I went out for a short drive to take a few shots, ended up photographing the pounding waves and sky for two and half hours. Canon 7D Mk II | Tamron 16-300. This day I was primarily after long exposure photographs. This image at 1/10th of second at f/22 was the exception. 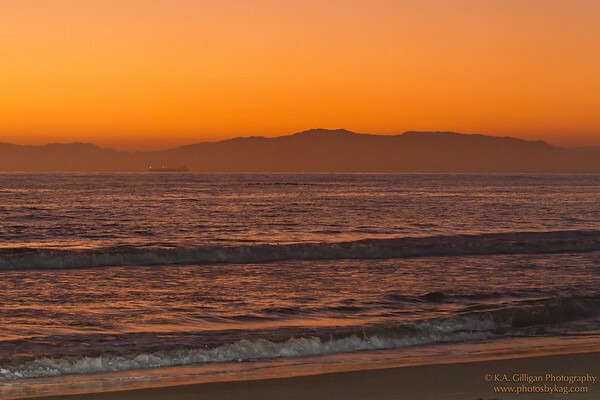 You can see Redondo Bech, Hermosa Beach and Manhattan Beach all the way to El Porto in this image. A downpour on 11/25/16 provided a rare opportunity in Southern California to capture clouds in long exposure photography. 90 second exposure at f/11. I was out in the storm for an hour and got pretty well soaked capturing this image and a few others on that day. 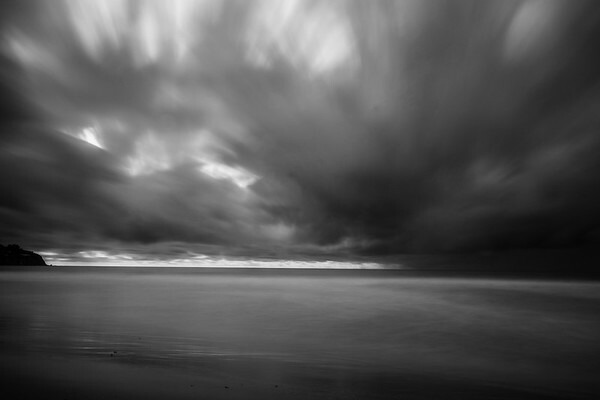 Black and White Long Exposure Photograph, Torrance Beach, Torrance CA. 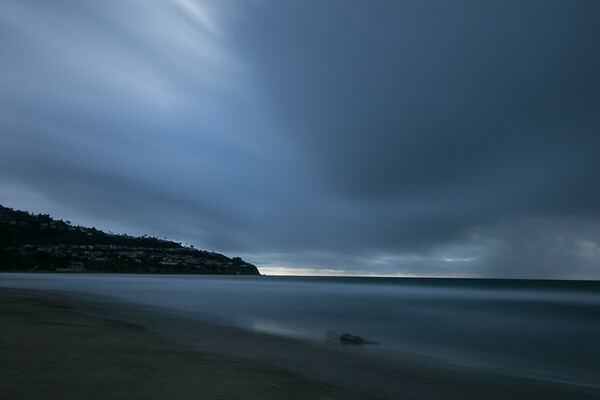 A 79 second exposure at f/11 during a rare Southern California storm. I love the motion of the clouds. I struggled to keep the lens free of waterspots during the downpours that started and stopped this day. 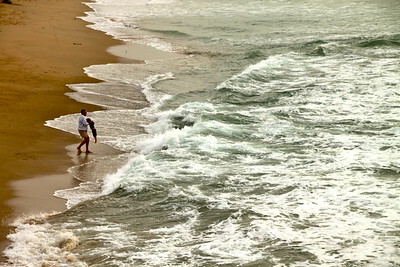 The sunrise light illuminates the waves at El Porto. 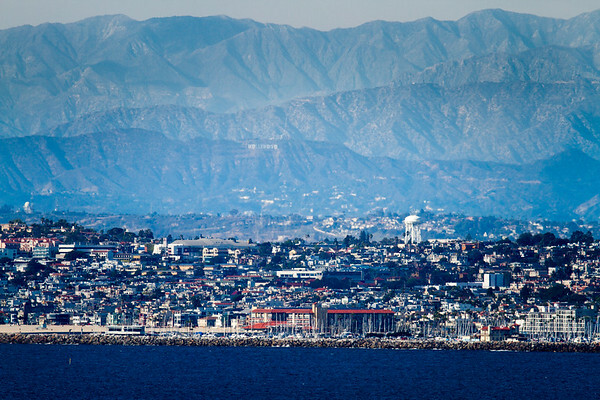 This unusual perspective has El Porto in the foreground and Redondo Beach and Palos Verdes in the background. 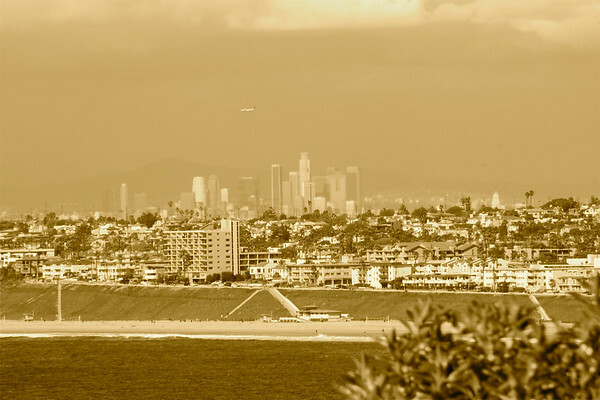 Extremely rare image of Redondo Beach in the foreground and the Hollywood Sign in the background. 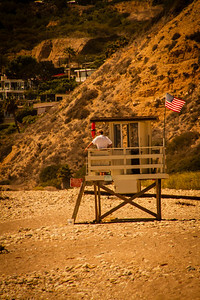 It is 35 miles from the place where I shot this to the Hollywood Sign. 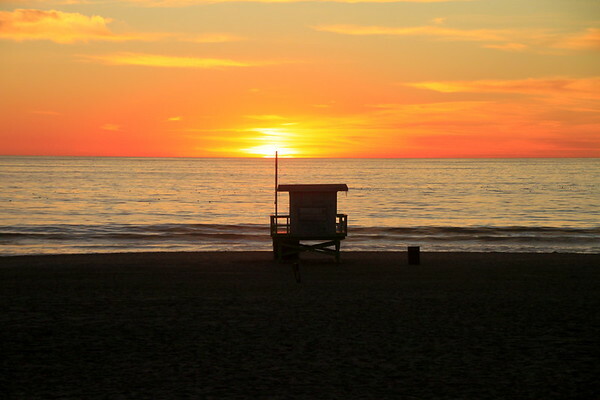 Golden Sunset, Torrance Beach. 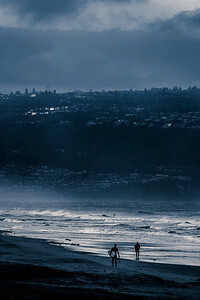 Torrance CA. 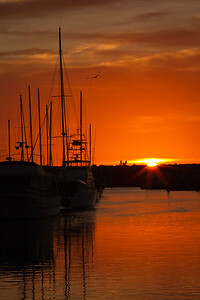 Orange sunrise, Hermosa Beach, CA. 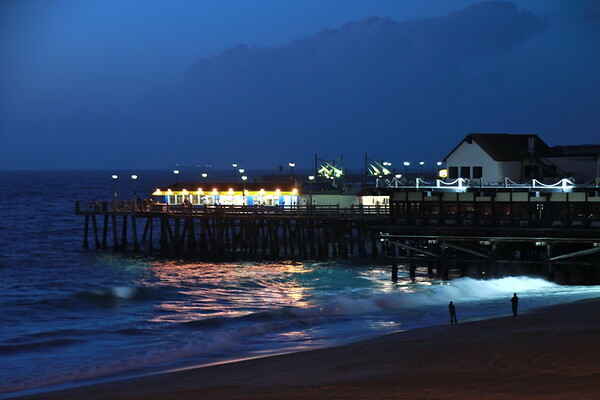 "Redondo Pier, Night" This shot of the Redondo Beach Pier was taken just after a storm. Note the clouds in the background. 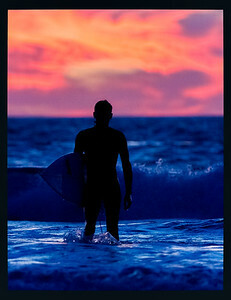 A surfer comes in from the last ride of the day, Torrance Beach, Torrance CA. 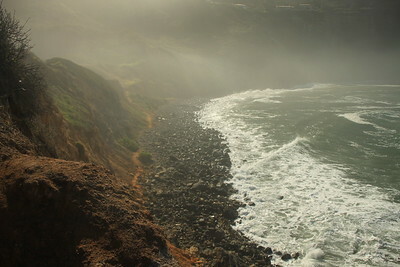 "Misty Cove" Palos Verdes, CA. 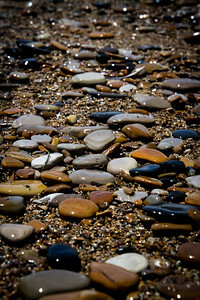 This shot was published in "Beach Magazine" in August, 2010 and won an "Honorable Mention" in the 2010 Easy Reader Photo Contest against some pretty stiff competition. View of Downtown L.A. from the South Bay. This incredible shot is almost never seen, in part to smog, but largely because it is almost 40 miles from where this shot was taken.